They taste so wonderful, but they are almost 100% sugar; just totally bad for you. They're not a real donut; just a huge sugar hit. They're so bad, you can get busted by the cops for eating them. Recently I had a solar system installed. The cost of electricity just keeps on going up; so it was time. I did the sums and payback will be 4-5 years; maybe less with future higher electricity cost (especially in SA). Choosing the vendor and installer was pursued over 2 weeks. I listened to the lies and fantasy forecasts and then made a decision on who I felt was best; and then negotiated a bit of a discount. I had my heart set on also installing a battery system eg. the Tesla 6.4kWh battery. No matter the brand, a battery just does not make financial sense; not yet. In the case of the Tesla, it would have cost ~ $10k with a warranty and effective life of 10 years and only provided $6k savings ie. over 10 years I would have lost $4k and the batteries would need to be replaced to give another 10 years life. The cost of batteries is reducing by 14% pa so by my reckoning, adding a battery (with more capacity) will be a better financial proposition in about 3 years. Just love them. Those live bloopers. Heard it this morning on the ABC news, talking about federal politics and the makeup of the front bench (Liberal and Labor). There's always talk about how many women. The female commentator spoke of the number of 'female women'. I know that they come in all sorts of shapes and sizes and ability (much like male men), but they are all female; just female. We can understand simple gender terms. I grew up on bung fritz. You grew up on bung fritz. We all grew up on bung fritz. We started with that free slice given at the butcher shop. Even today, all kids get offered a slice at the local butcher shop. It's an Aussie tradition. 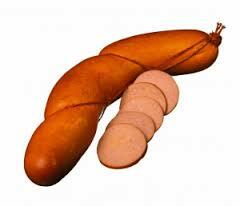 Today, with all the other choices of salami, mettwurst and other continental meats, it's a nice change to enjoy our South Australian traditional bung fritz. It's a simple pleasure; best enjoyed as a thick sandwich. What's in bung fritz? How's it made? Well I had a friend who visited a fritz factory and she said that if you saw how it was made you would never eat. I avoided a visit to the factory; I didn't want to kill off one of my pleasures. I'm absolutely staggered that there is now surprise at the drastic increase in the cost of electricity immediately following the shut down of the brown coal fired power station at Port Augusta; in the far north of South Australia. You can't shut down a 544MW power station and expect no impact. That's what happened; and we knew a year+ in advance of the shutdown. Industry is taking a bit hit with double/triple costs per day. The State Treasurer is surprised. It's all a big surprise. In fact, I'm surprised; I'm surprised that the outcome was not foreseen. Average Joe (or Judy) in street could tell you that you simply can't shut down a power station without having a reliable backup source of power. It's like running out of petrol in your car and not having a jerry-can of petrol in the boot. Eggplants; one of the most versatile fruit in the garden (and no it's not a vegetable). If I were a vegetarian then it would be at the top of the list with field mushrooms. 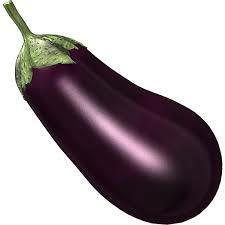 As a meat eater, the eggplant is at the top of my list as an accompaniment; an accessory to meat. Cook it Afghan style and you're in heaven. There's so much you can do with eggplant. A recent discovery (and joy) was thinly sliced eggplant fritters. As a meal or snack whilst watching State of Origin rugby or as a side dish with red meat. An amazing tale with supposed credibility. Remember the Bush Tucker Man, Les Hiddins. He has an ongoing pursuit to find evidence that survivors of a Dutch shipwreck off Western Australia trekked half way across Australia and colonised Palmer River, 300km SSW of Alice Springs. The colony is claimed to exist between 1708-1832; started before British colonisation of Australia. DNA testing will try to confirm links between local Aboriginals and family descendants related to those onboard that doomed Dutch ship; back in early 1700. The search for evidence in Central Australia is winding up due to weather and will recommence next year. I'm staggered that the GG is away overseas in France to represent Australia (as Head of State) at a ceremony to celebrate the French National Day which commemorates the Storming of the Bastille on 14 July 1789. I'm only staggered by the fact that back home in Australia we have had a Federal election (and that date was known for 2 months) and now that we have a result we have no GG to swear in the Prime Minister and his Ministers. Rather bad timing. In fact I would say rather poor etiquette. We do have a Lieutenant GG don't we? Like most Australians I have no idea who that person is, but surely the Deputy could either have gone to France (instead of the GG) or performed the swearing in process (in the absence of the GG). Then again, I'm only guessing at protocols and who can do what in the absence of the GG. I have received questions from residents about street trees and the process for their replacement when they become end of life, unhealthy or are severely damaging infrastructure eg. the kerb, footpath and underground services. In particular, concerns are being raised by residents in Charles Street, Forestville. The street (particularly the southern end) is bird city with the big native gums full of bird attracting blossom. I put some questions to Unley Council and here are the responses (with my minor edit). Hopefully this will help to provide clarity. Question: Is there a reference on the website about the selection of street trees? Answer: No. Most streets have a nominated preferred replacement species which is based on the dominant species in the street. 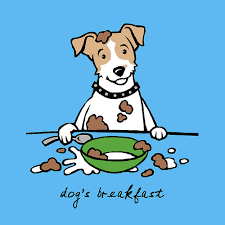 A dog's breakfast is the best description for the outcome of our voting at the Federal election. The seats won/lost are up and down on a daily basis. At one stage it looked like Labor might just win; certainly with the help of a handful of independents. Now it looks like the Coalition might just get there; but they will need a few independents to make life comfortable. It's not an outcome that we wanted when we voted. Wouldn't it be ideal if the best of Labor, the best of Liberal, the best of the Nationals and a handful of independents banded together to form a government that truly represented Australia? It would, but the obstacle of politics would get in the way. Whoever gets up, it will be difficult to implement many of their election campaign promises; especially the Liberal promises. A lot of big ideas will be watered down; and then watered down further by a diverse Senate. They are still talking about running the new tram line down Goodwood Road, rather than along Unley Road. 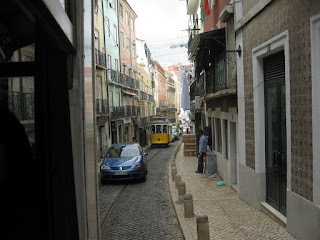 It would be a real engineering feat to get the tram down through the underpass with poles inserted into the crumbling walls of the underpass. Ugly poles from the CBD to Mitcham. The real reason for the Government's probable decision to go with Goodwood Road is a recommendation from the Urban Development Institute of Australia state director Pat Gerace who said in The Advertiser that the benefits were overwhelming. He said that Goodwood Road had huge capacity for high rise apartments and commercial developments, whereas Unley Road was already built up. We've all just voted and the outcome is horrendous. Neither party has the numbers (yet) to govern. It's not a good outcome for sound government in Australia. I feel cheated. Most people I have spoken with feel cheated. Not cheated by their party not getting up; but cheated in that there is no outcome, with counting to continue over the next week. And what of the last minute Medicare text messages issue with the police getting involved. It is likely, maybe, a possibility that a fresh election may be called. Whoever would win, we do need a majority government; or one formed with a solid group of independents. Meanwhile, we live in a bubble; a bubble that will soon be pricked. Just been to vote. Did my duty. After a long campaign it was good to finally vote. A vote to save Medicare or create jobs and growth. Huh? My dilemma: I want both! So many people took their dogs on the family outing to the polling booth; despite the fact that dogs are not allowed to be on school property; but no one bothers to police that on polling day. 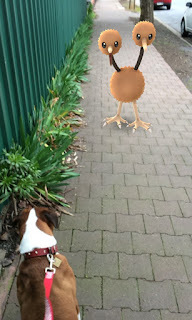 I even saw a dog enjoying the remnants of a sausage sizzle. The best part comes tonight. Saturday @ 6pm on ABC TV. I just love watching the count and the commentary. The crap we hear about trends with 1% of the vote counted; and then a change of opinion after 5% has been counted. Absolute drama. An early family BBQ and then the TV. A bottle of fine red wine; the best bottle from under the bed - it helps to celebrate or commiserate; and some nibbles like dark chocolate to keep up the energy; to maintain a posture on the couch.